For the week ending Nov. 19, the Brigantine Police Department responded to approximately 345 calls for service, including 63 motor vehicle stops with two summonses issued, four domestic disputes and three accidents. Romandul Santiago, 18 of Atlantic City, was arrested Nov. 13 by Detective Glasser and charged with possession of marijuana and possession of paraphernalia. Renee Roumbas, 46, of Brigantine was arrested Nov. 15 by Officer Huot and charged with DWI and refusal. Kelly Rooker, 35, of Lisle NY was arrested Nov. 15 by Officer Huot and charged with possession of CDS . Jennifer Torres-Prado, 23, of Atlantic City was arrested Nov. 17 by Officer Powderley and charged with possession of marijuana. There was one warrant arrest. All persons named are considered innocent unless proven guilty. 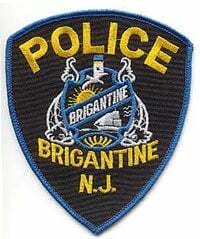 See brigantinepolice.org for latest information and news, and Brigantine Police on Facebook and Twitter. See www.nixle.com to sign up for the alert and notification system and to keep up to date. As the result of an agreement the city entered into with the state and federal government, there will be no dogs, vehicles or kites allowed on the front beach from Bramble Drive to Sandy Lane. Fencing is in place on the beach to protect the nesting areas. Please be mindful of the areas marked off as you travel the beaches. It is unlawful to operate an automobile, truck, motorcycle or any other vehicle on Brigantine beaches without a permit or in violation of any provision. Permits must be permanently affixed to the rearview mirror, not taped, rubber-banded or mounted on Plexiglas or any other form of temporary mounting. Rearview mirror only; no windows, dashboards, etc. According to NJS 39:4-135, all vehicles must be parked facing the direction of travel. Do not park facing oncoming traffic. Parking so as to block a sidewalk is prohibited under NJS 39:4-138(f). It creates a safety hazard for pedestrians, forcing them to enter the roadway to pass by a vehicle. During the dredging project there will be areas of the cove for which access is prohibited. All are advised to stay clear of the equipment and fenced areas. The driver of a vehicle must stop and stay stopped for a pedestrian crossing the roadway within any marked crosswalk, but shall yield the right of way to a pedestrian crossing the roadway within an unmarked crosswalk at an intersection, except at crosswalks when the movement of traffic is being regulated by police officers or traffic control signals, or where otherwise prohibited by municipal, county, or state regulation, but no pedestrian shall suddenly leave a curb or other place of safety and walk or run into the path of a vehicle which is so close that it is impossible for the driver to yield. Pedestrians must obey pedestrian signals and use crosswalks at signaled intersections. Young people under the age of 17 are required to wear an approved helmet when cycling, roller-skating, in-line skating, or skateboarding. Each year in New Jersey, bicyclists are killed or injured in crashes. Many bicycle deaths result from bicycle-motor vehicle collisions. However, injuries can happen anywhere, including parks, bike paths and driveways, and often do not involve motor vehicles.